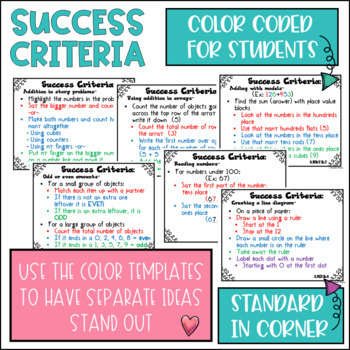 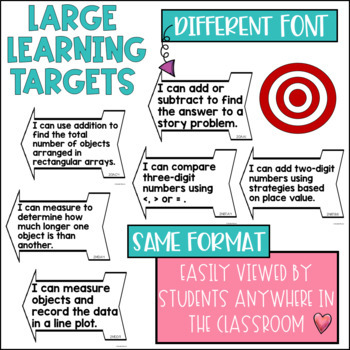 These Common Core State Standard aligned learning targets are a quick, easy and efficient way to help your students meet their daily learning objectives in Math. 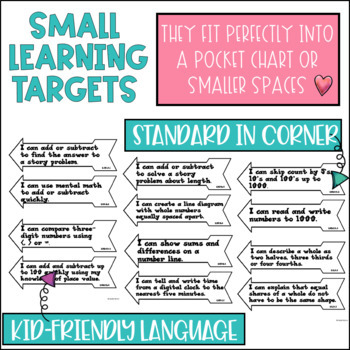 They are written in kid friendly language so that your students can easily understand exactly what it is that they will be learning and will be able to express it back to you. 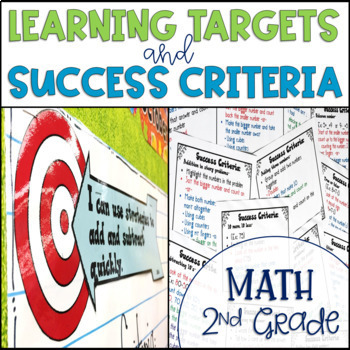 They also include some of the higher level common core language that they will be hearing and using year after year.